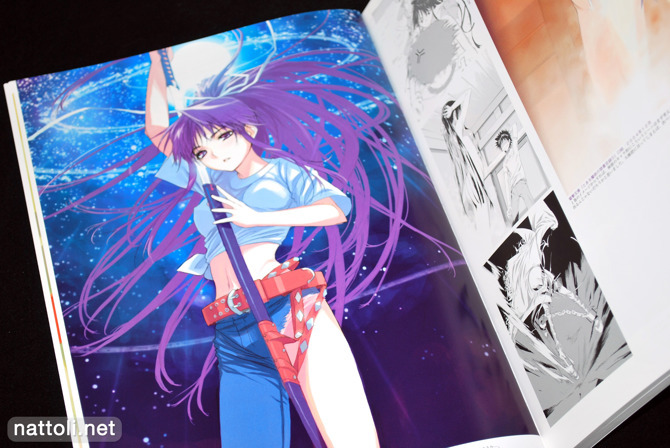 Rainbow Spectrum: Colors Haimura Kiyotaka Illustrations is a collection of art from Haimura's illustrated light novels, which most notably includes Toaru Majutsu no Index. The art book incorporates both the color pieces and the monochrome works from that light novel in chronological order, with shorter sections from Sprite Spiegel and Maid DEKA. Rainbow Spectrum: Colors is a lengthy, A4-sized art book weighing in at 192-pages. Though there are plenty of illustrations, the presentation is severely lacking. 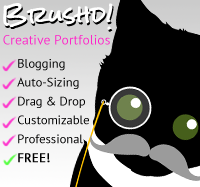 Illustration sizes range from full-page to tiny, almost thumbnail-sized presentations. On the bright side, the smallest sizes seem reserved for the monochrome works. Very few illustrations receive a full-page presentation, though there are a few two-page spreads. The art in Rainbow Spectrum: Colors is printed without overlap, and unfortunately the layout has been done in such a way that several illustrations overlap the center in some small amount, often unnecessarily. As I mentioned earlier, the art work is in chronological order from the Toaru Majutsu no Index light novels, so you can really see the progression and advancement of Haimura Kiyotaka's techniques as the years go on. I wouldn't say the older illustrations from Toaru Majutsu no Index are lacking though, they're still well-done, they're just in a different style from what we're used to seeing today. The only problem with some of the older works in the book is that their original resolutions weren't adequate for print, so there is some pixelation. 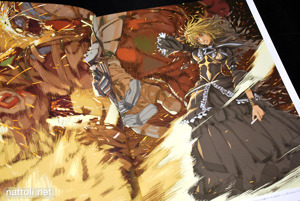 Though more often, the upscaled images are overly blurred and lacking the crisp line work you'd expect in an art book. The Toaru Majutsu no Index illustrations portion of the art book basically ends on page 110 with a four page cross-talk between Haimura Kiyotaka and the author Kamachi Kazuma. Afterwards, the illustrations resume for about another 50 pages with works from Sprite Speigel and Maid DEKA, finishing with a few pages of original works and tribute illustrations. 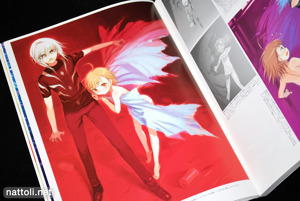 Rainbow Spectrum: Colors Haimura Kiyotaka Illustrations has another 12-pages of interviews and then introduces a quick how-to-illustrate section featuring an illustration of Index. 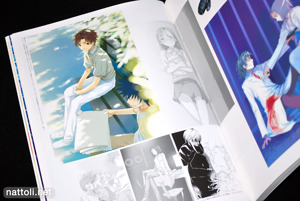 The book ends with 14-pages of concept arts for the cast of Toaru Majutsu no Index, which are mostly low quality images. On the whole, this book felt unorganized in its layout, and sloppy in the editing especially with upscaled images. I'm sure most fans would be quite happy with the overall completeness of the collection, but it really deserves a better presentation than this. I was rather disappointed with the layout of the book as well... it really is a shame. I totally agree! When braindead editors attack!